How I’m going to pull my studio together and still finish my work I have no idea, but time waits for no woman, so I’m under the gun getting ready for my open studio. Look for remarkable discounts at this year’s open studio. Hope you can make it! October 19th and 20th 11:00 – 5:00 Hot cider and munchies! 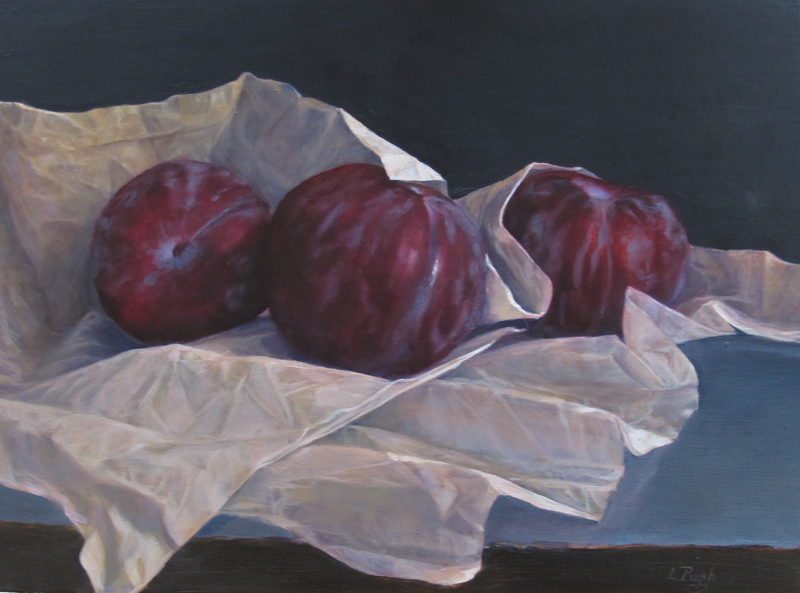 This painting, “Plums” is fresh off the easel.